FX Player PRO video player all format was produced by our own engine and technology from the beginning. 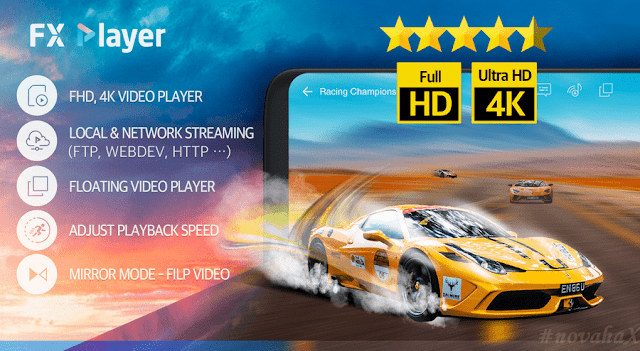 FX player simply can play flash and stable with all of the features including subtitles, supporting all video formats, screen mirroring, enlarging, navigating. The reason we can say this is that we are creating our own user experience that is required as a media player and we prime concern are also manufacturing techniques for the user experience.This app put much more emphasis on mobile UX than the existing classic media player. In any environment, it simply can play flash and stable with all of the features including subtitles, supporting all video formats, screen mirroring, enlarging, navigating.